Riot police have been using tear gas and stun grenades in Athens to disperse about 3,000 left-wing marchers protesting President Barack Obama’s visit to Greece. This, after they tried to enter an area declared off-limits to demonstrators. There is a strong anti-American tradition among Greek left-wingers, who still resent U.S. support for Greece’s military dictatorship in the 1960s and 70s. Obama’s visit comes just two days before the country’s main annual anti-American demonstrations. President Obama says the United States considers the NATO alliance a cornerstone of its security, and that a U.S. commitment to NATO is unwavering. 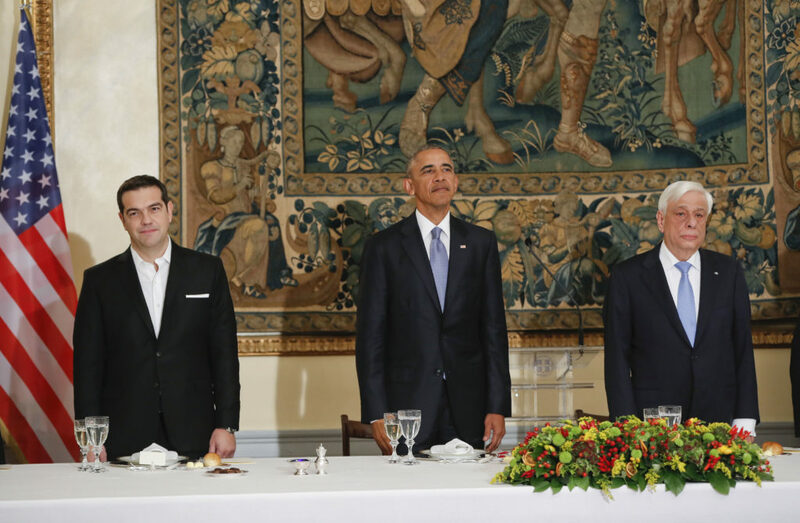 Obama, who arrived in Greece today, is trying to assure the country following the election of Donald Trump. During the campaign, Trump complained about NATO, saying the U.S. has been paying more than its fair share and that he’ll have to take a look at the alliance.